Greener by nature greener by colour. Specially formulated over months of development we are proud to announce that all of our film now contains a high percentage of reclaimed plastic. 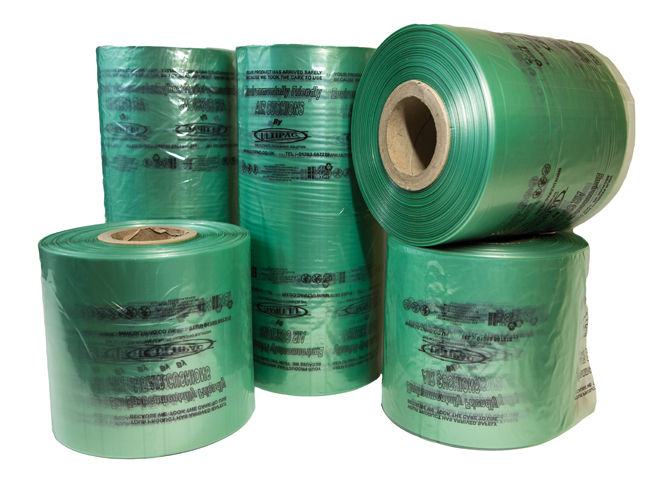 Our supply comes from the UK’s leading recycler of plastics and is exclusive to Ultipac. Still with the usual 30 micron thickness but now surprisingly even stronger whilst being better for the environment. Our planet is a precious place and we should look after it for future generations. We should use it’s finite resources respectfully. That is why we, as a family business, are always striving to be Greener in our approach to products. We decided to go into Air cushions back in 1994 because only 1% of our product is left with the end user to dispose of if they cannot reuse it, which a lot of people do. Burst the bubble and 99% of our product returns harmlessly into the atmosphere from where it came. The other 1% is recyclable. People are saying “what is happening to all the Supermarket bags and other plastic, we don’t want it all lying in landfill sites for years!” As our business is focused 100% on air cushions we felt as a family business a need to address this issue. We have been working closely with our polymer extrusion company to do something proactive and give our products the green credential the market desires. ALL OUR CUSHIONS NOW CONTAIN RECLAIMED PLASTIC. We are able to achieve this because our film is made by the UK’s largest plastic recyclers. You will notice our film because we have coloured it green and printed information on it to inform your customers that you care too.